You can understand their disillusionment. One minute, potential supporters and donors are told that charities desperately need their hard-earned cash to change lives. The next, they read about the latest charity rebrand, costing thousands of pounds, which appears to have produced, wow, a brand new logo. Charity communicators know that rebrands aren’t all about flash new logos: they’re about rethinking what your organisation does, questioning what you’ve been doing for years and adapting to the times so you do it better. They’re not glossy makeovers; good rebrands rebuild up from your organisation’s foundations.That doesn’t happen overnight. Good rebranding requires an overall brand strategy to bring about change both inside and outside your organisation. This takes years rather than months. Mencap are bearing all this in mind following their rebrand in 2008. “Changing how you behave is as important as changing the way you look,” says Lucie Brown, head of brand communications at Mencap. Lucie talked about the charity’s brand strategy at a recent CharityComms seminar. If it means you better communicate what you do, how your charity improves people’s lives and why you need help to do even more good work, it will be obvious that your rebrand is money well spent. Here are three key top tips on how to do this, based on Lucie’s CharityComms presentation. 1. Paint the whole picture. Following their rebrand, all Mencap’s activities and materials must, using their key messages, refer to other aspects of what the organisation does. 2. There’s no better advocate for your charity than the people you support – tell their story. Mencap staff realised that to live their values and really be the voice of learning disabilities, all communications must include information delivered by someone with a learning disability. 3. You know what you do, but other people might not – don’t use jargon. 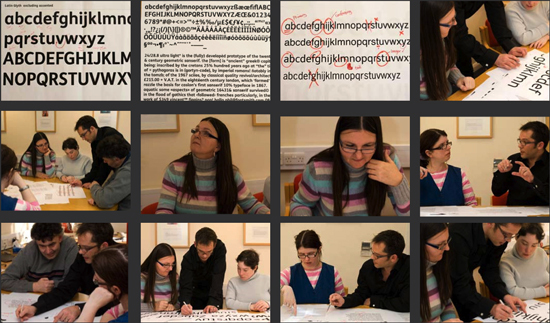 Lucie and colleagues discovered that most people do not understand what having a learning disability means. As a result, now all Mencap communications must explain, in some way, what a learning disability is as well as the challenges, barriers to inclusion and prejudices faced by people with a learning disability.